NASHVILLE, Tenn. – The stars are shining bright this holiday season as country music hitmakers Phil Vassar and Lonestar support The Salvation Army with their “Not So Silent Night” single and “The Not So Silent Night Tour.” 100 percent of the proceeds from the single will benefit The Salvation Army, which assists more than 4.5 million people during the Thanksgiving and Christmas time periods. The Salvation Army red kettle bells, a 127-year-old Christmas tradition, will be present at venues throughout "The Not So Silent Night Tour." 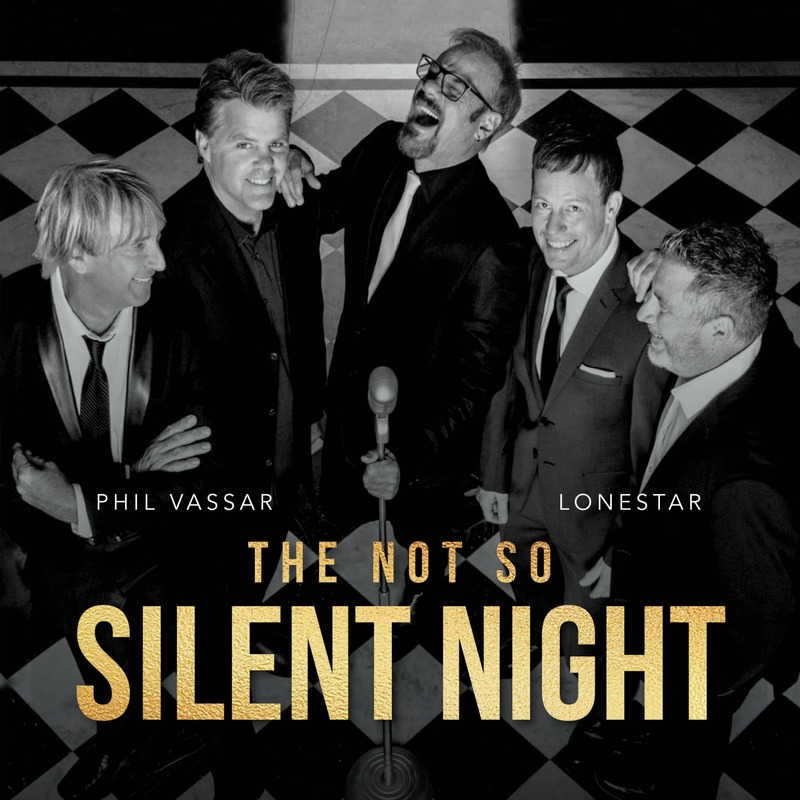 To purchase “Not Silent Night,” click HERE. For tour dates and tickets, visit PhilVassar.com and LonestarNow.com. Nov. 30 IP Casino - Biloxi, Miss. Dec. 2 Wildhorse Saloon - Nashville, Tenn.
Dec. 5 Potowatomi - Milwaukee, Wis.
Dec. 6 Potowatomi - Milwaukee, Wis.
Dec. 14 Memorial Hall - Plymouth, Mass. Dec. 15 Memorial Auditorium - Lowell, Mass. Dec. 16 Santander PAC - Reading, Penn. Dec. 22 Weinberg Center - Frederick, Md. 1999. Vassar continues to churn out incisive, soulful lyrics and infectious melodies that capture the heart and soul in the unique and special way that only he can. Known for merging their country roots with strong melodies and rich vocals, Lonestar--Richie McDonald (lead vocals), Michael Britt (lead guitar & backing vocals), Keech Rainwater (drums) and Dean Sams (keyboards & backing vocals)--has amassed RIAA-certified sales in excess of ten million album units since their national launch in 1995, and achieved ten #1 country hits including “No News,” “Come Crying To Me,” and their crossover smash “Amazed” (which was also #1 on the Billboard Hot 100, the first record since 1983’s “Islands in the Stream” to top both charts). The band’s awards include ACM Single of The Year for “Amazed” (the song also won the Song of the Year award), and CMA Vocal Group of the Year, as well as a 2017 People’s Choice Award nomination for best country group. With over 100 dates worldwide per year, they are celebrating over 25 years together. Lonestar’s latest album, Never Enders, features ten new original songs that bring the band’s trademark sound into the contemporary arena. Check out the music video for the title track, “Never Enders,” here.